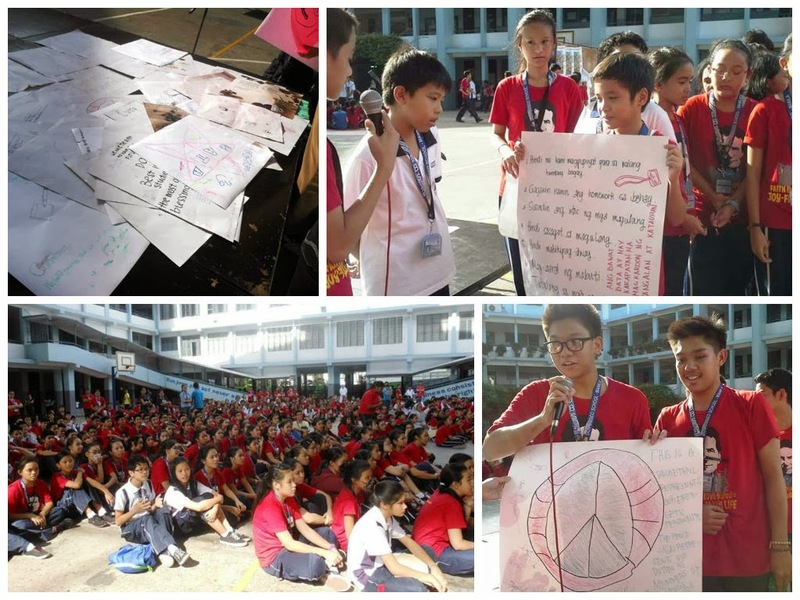 In line with its goal of furthering the advocacy on children's rights, VIDES Philippines facilitated the kick off of this year's National Children's Month Celebration at Don Bosco School Manila last October 2, 2013. 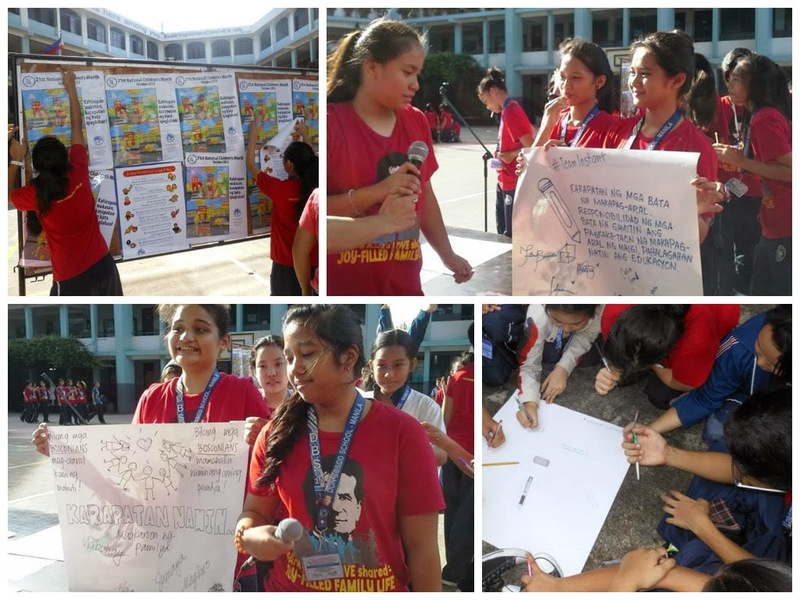 VIDES Sisters and volunteers, with the help of FMA Sisters and Don Bosco teachers, cooked up a series of fun activities that aimed to raise the students' awareness on their rights as children. 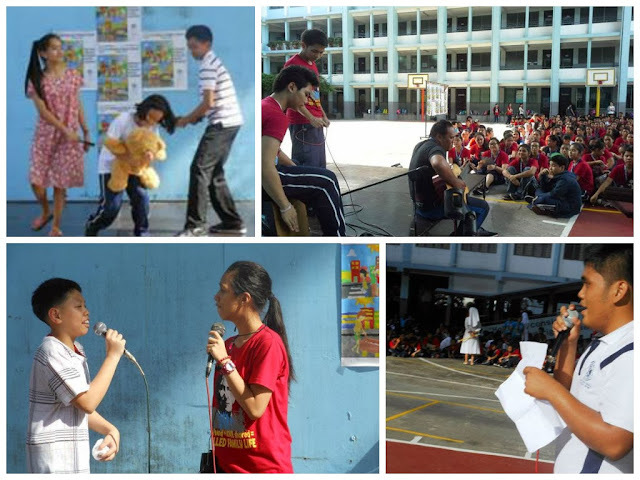 Members of the Salesian Youth Movement (SYM) showcased their talents in acting, singing, drawing, and slogan-making. They also presented their commitments to be good and productive members of the society. The National Children's Month is celebrated every month of October, pursuant to Presidential Proclamation 267, series of 1993. For 2013, the theme, Kahirapan, Wakasan, Karapatan ng Bata Ipaglaban! focuses on poverty. It highlights that poverty reduction starts with children and that education is the most promising intervention that can make a difference in the life of every child and his/her family. Go to the VIDES Philippines Facebook Page for more photos.